SEADREAM Yacht Club has responded to the major wish of Australian and New Zealand guests – acknowledging the vast distances we have to travel to join its mega motor-cruiser yachts in the Mediterranean for the enjoyment of just a week aboard, it has announced a series of longer what it calls Grand Voyages of 12- and 14-nights with specially-discounted prices for the Australian and New Zealand market. Its opened a whole new cornucopia of opportunities aboard the just-56-stateroom SeaDream I and SeaDream II, such as 14-days from Dubrovnik in Croatia on August 3 this year to Rome by way of thirteen ports in Montenegro, Albania, Greece and Italy, and 14-nights from Istanbul on August 30 to Athens and back to Istanbul through a dozen ports in Turkey including Kepez for a visit to Gallipoli, and Greece and the Greek Islands. A shorter 12-days from Dubrovnik on October 9 this year to Malaga in Spain visits eleven ports in Montenegro, Greece, Italy, Monaco, France and Spain. 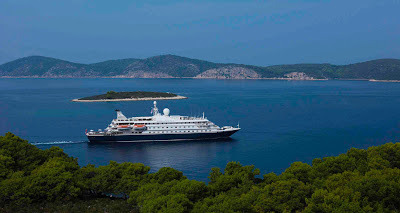 ADDITIONAL INFORMATION: Classic ports these sailings include, depending on itineraries chosen, include Amalfi, Capri, Bonifacio on Corsica, Monte Carlo, Porto Azzuro on Elba Island, Kusadasi to visit classic Ephesus, numerous of the Greek Islands, Taormina to view Mt Etna, Barcelona and Valencia to name a few. SeaDream I and SeaDream II have just 56-staterooms each for a maximum 112-guests served by 95-crew; as well as visiting famous Mediterranean yachting ports these new Grand Voyages call into hidden coves and harbours larger cruise ships cannot access, and feature late-night departures or overnights in some ports to enjoy the local nightlife. And few ports, if any, are repeated on these longer sailings.